Picture it: you’re zen’d out on your mat, feeling like you are a million miles away (maybe you really are!). You can smell the sweet fragrance of tropical flowers mixing with the earthy bamboo floor. A breeze blows through the lush rainforest treehouse you’ve spent the past few days growing, learning, and connecting. Earlier, you spent the morning reviving yourself with fresh fruits and meditation. Now, you’re in the here and now, resting in savasana surrounded by a handful of new friends who share your passion for the art and science of yoga. You rest in silence, appreciating the beautiful journey you have undertaken and finding gratitude in all the unbelievable experiences the past few days has bestowed upon you. You are new, refreshed, and fully revived. You’ve made it to the yoga retreat you’ve long dreamt of. Perhaps your vision is in a Balinese forest, connecting with locals and swimming infinity pools after your yoga class. Perhaps a Costa Rican beach is more your style, with amazing fresh meals and vegetarian meals to die for. Closer to home can be just as good. Do you thrive near the waters of Mexico or feel right at home in California? So, here’s the good news: if you are longing for a full-on yoga retreat, your dream is not unreachable! 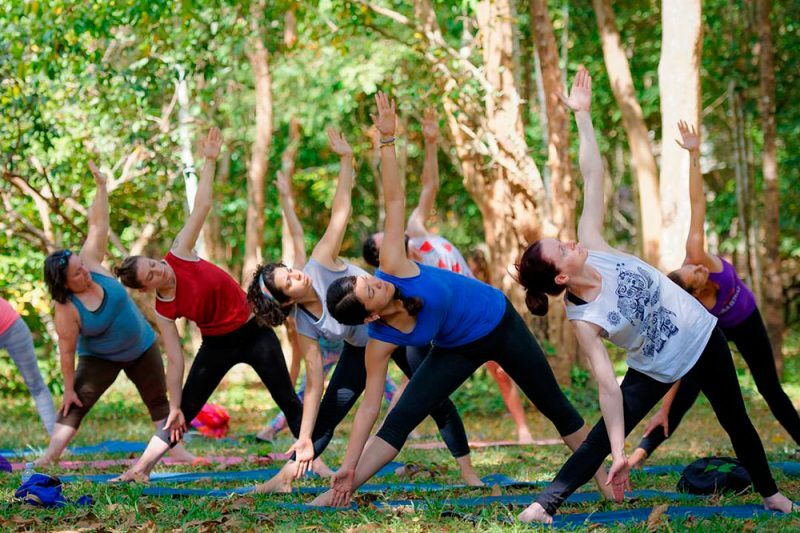 There are so many yoga retreats out there thanks to the ever-growing popularity of yoga. There are retreats in some of the most beautiful places in the world, and right in our own backyard, for under $1000. In fact, here’s eight of them right here! Read on to learn about some of the world’s most cost-effective retreats, and how you can join in on the fun and relaxation. Anamaya has it all: ocean, views, food, and an amazing team. 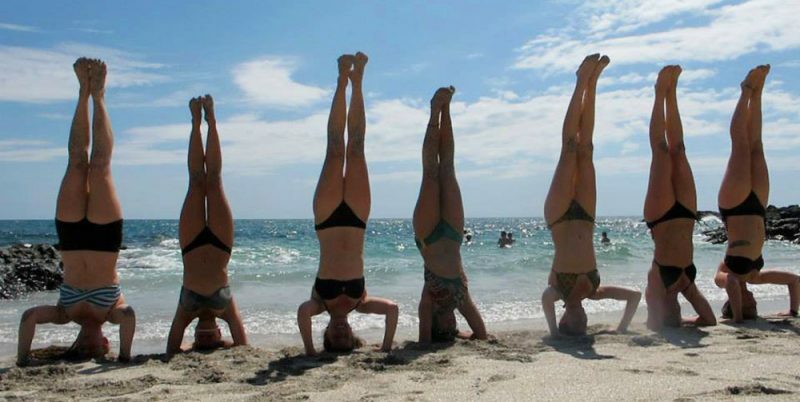 We all know Costa Rica is a yogi paradise – well, paradise period! Visit Anamaya Resort for a luscious retreat here in Costa Rica for yoga retreats all year long. Most sessions will run from Saturday to Saturday, but check their website for other options. What’s more – the retreat is totally customizable to your needs and level. Add in adventure activities like zip lining, cooking classes, hiking, horseback riding, and waterfall chasing. Are you a surfing yogi, or perhaps want to scuba? They have a special retreat for you. Go all in with their Pure Yoga Package, or choose the wellness route and rejuvenate. The Sivanandra Ashram Yoga Center offers a variety of options at their beautiful Bahamas retreat location. 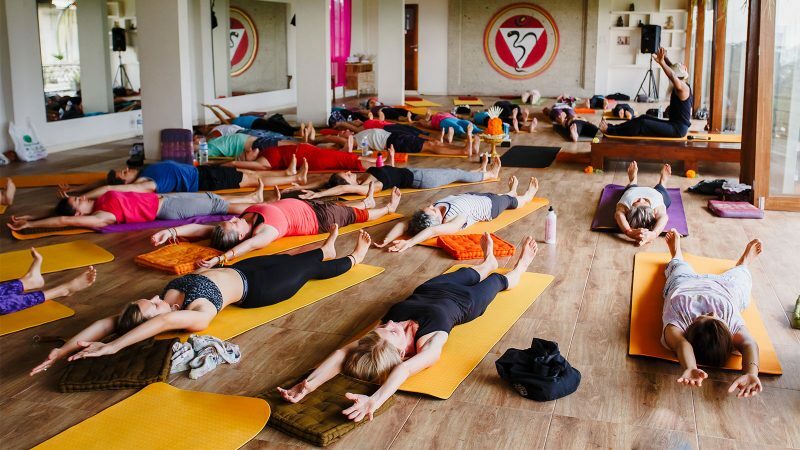 For an affordable, yet substantial yoga retreat (although most of their options are budget-friendly), opt for one of the Essentials course in Sivanandra yoga. There are, however, programs throughout the year with levels suitable for beginners or seasoned practitioners of yoga. Check out their Yoga Vacation Program or one of the higher level yoga foundations courses as well. The Essential I Program (which is perfect for beginners) is a 5-day immersive program with vegetarian fare, meditation, uplifting teachings, and yoga, of course! I can personally speak to the beauty of the Finger Lakes having lived in the region for several years. 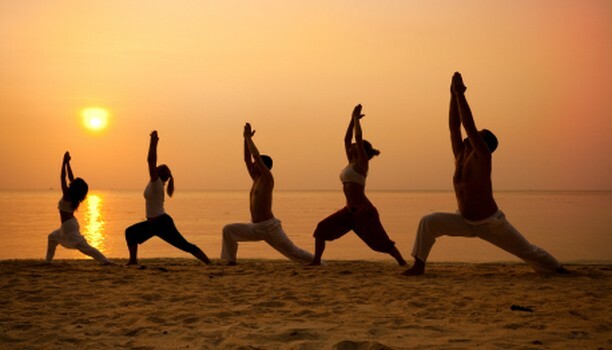 The natural beauty of the area has a certain charm and calmness, perfect for a rejuvenating yoga and wellness retreat. The Finger Lakes YogaScapes hosts an amazing Glamping Yoga Retreat and the next one is coming up in July 2019 – so hop on their website to reserve your spot! 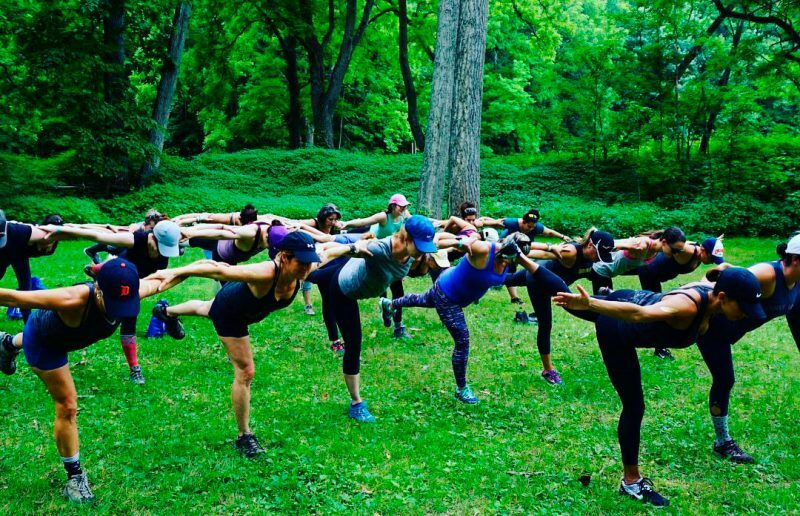 Strap in for three days of glamping, yoga, and twinkling night skies as you reignite your passion for yoga at the Buttermilk Falls State Park, just outside of funky Ithaca, NY. What a neat way to pair yoga, nature, and camping – in a totally approachable and chic way! This is a beautiful, soulful retreat that is incredibly affordable if you can get yourself to exotic Cambodia. The Hariharalaya 6-Day Yoga and Meditation Retreat offers an authentic Cambodian village experience, just a short distance from the ancient temples the country is known for. In addition to the six-day yoga immersion, experience dharma talks, daily vegan meals, and the comfort of a shared or single bamboo hut. Soak up the spiritual essence of Cambodia and enjoy the authentic village life that Hariharalaya provides. Step into their spa and wellness center to take your retreat to a whole new holistic level. Retreats occur year-round. This retreat is the perfect escape back to the self. Focus is placed on yoga asanas, pranayama, meditation, and self-guided exploration. Suncokret has been hosting retreats on the quaint island of Hvar since 2004. Their experience therapists and yoga teachers have a particular affinity to connecting body and soul. Soak up the enchantment of the beautiful island of Croatia, meet with the holistic yoga therapist to deepen your practice, or immerse yourself with the nature of Croatia. There are retreat dates from autumn through spring. Yogascapes offers some pretty amazing retreats both domestically and internationally. If you’re happy to spend a bit more than our budget of $1000, and want a truly exotic experience, look into their programs across Europe, Morocco, or Sri Lanka. For the budget yogi, check out their California Spring Revival Retreat from April 12-14th, or the Joshua Tree Yoga Campout from May 17-19th. Both offer yoga, food, nature, and fabulous company. These retreats are perfect for a long-week retreat, if a full-on week or longer retreat seems like too long of a commitment. Is Mexico calling your name? Head to the small island of Holfox off Mexico’s Yucatán coast and join up with Omm Retreats. They host retreats in many different locations, but the Holfox session invites you to dive into the untouched nature of the island and find enchantment with the thriving marine life in the area. Sea turtles, Check out their other retreats across the globe. Yoga, adventure, and peace awaits. Bali has long been a favorite retreat destination because of the spirituality, friendly locals, and lush beauty of the island. Find peace and serenity among the gorgeous green hills of central Bali, relax by the gardens, or dip in the retreat pool. For a week-long retreat, Om Ham offers a pretty amazing, affordable deal. Daily yoga, all meals, spa options, morning walks, sound healing, and more come with the journey. Enjoy the tropical paradise on your off time, or join up with a historical tour or exotic escape on the island. The 8-Day Replenish and Detox Retreat is just one of Om Ham Resort’s options, so look out for their shorter trips as well, such as their three or five-day options. 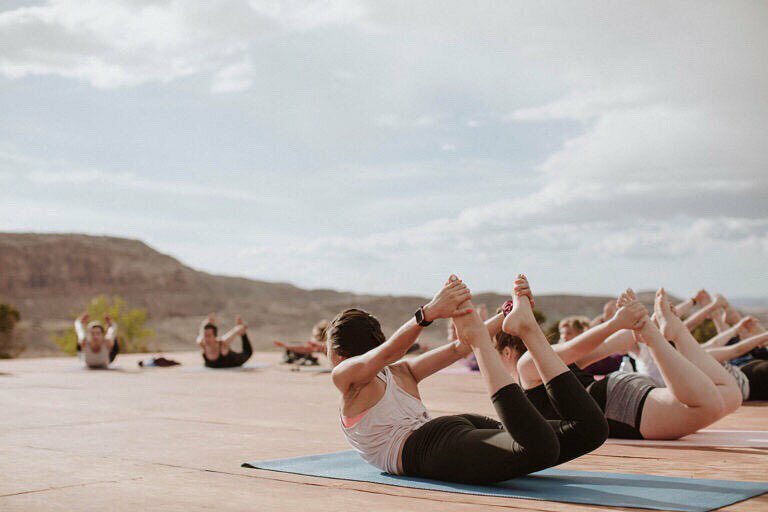 There are so many retreat options these days that there is really something out there for everyone: beginner, tourist, teacher, advanced yogi, tired momma, wellness student, globe-trotter, you name it. These eight options are just a few of the amazing, affordable ways for you to branch out and develop your yoga practice. Check with your local yoga studios to find out if they recommend any other retreats that fit your style and budget. Whether you are looking for a healthy way to treat yourself to a vacation, or a much-needed personal rejuvenation, destination retreats offer more than just yoga and a beautiful place to stay. They are an investment in your personal growth. Retreats offer you the ability to meet and connect with others from around the world, make new friendships, and learn from new teachers. You are open and engaged with a completely new space, place, and in some cases, culture. This allows an entirely different experience than your typical home practice. Yoga is a powerful tool. Consistent practice makes a healthy and happy yogi, but switching things up is good for the soul. For your next vacation, consider embarking on one of these alluring yoga retreats without breaking the bank. Many of these options also connect you to spa experiences, local life, holistic healing, or adventure – so consider the full benefit that a retreat provides. 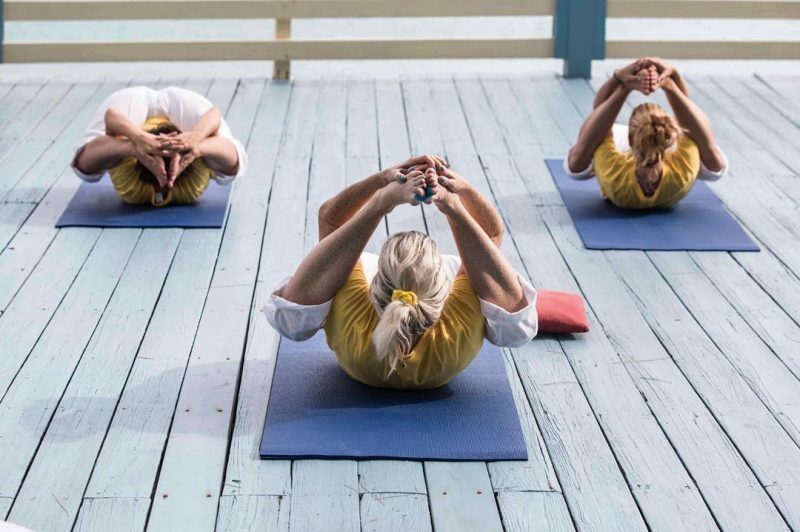 Connect mind, body, and spirit with a soul-awakening yoga retreat.